Every month we feature behind-the-scenes interviews with the individuals who, together, make CPW Dentistry the special place that it is. 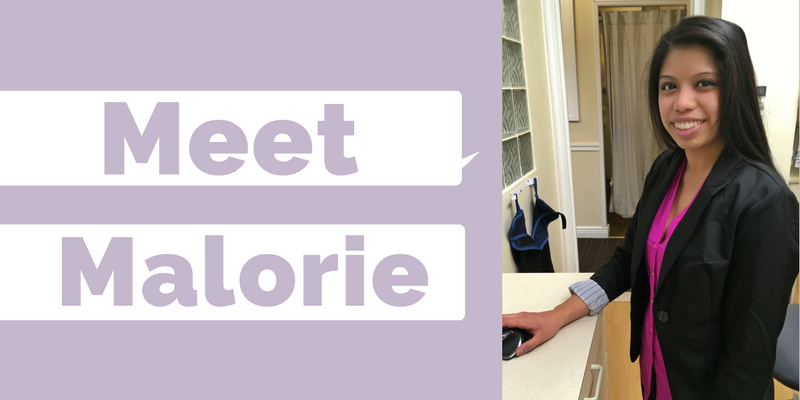 This month, we’re featuring Malorie, our wonderful Treatment Coordinator Team Leader. What’s your role here at CPW Dentistry and what does a typical day look like for you? I’m the Team Leader for the Treatment Coordinator team and also involved with Training and Recruitment. My time is split between management/coaching my team, and working at the front desk, where I help people understand and finance their treatment. Why do you love working at CPW Dentistry? One of the best things about working at CPW is being a part of our amazing team. I genuinely care about each of my coworkers and feel we have a very positive and nurturing culture. I love when we go on volunteering trips to give back to the community, or have little outings together outside of work. It’s great to come into the office every day and work with such a wonderful group of people to take care of our patients. You’ve been a patient here at CPW Dentistry, too. What has that experience be like? I also send all of my family to CPW, even though it takes them two hours to get to the city. I know it’s worth the trip, and they’ll be genuinely cared for here. What makes you wildly happy? What is your favorite oral health fact? Were you named after anyone? Tell us the story. My mom wanted me to have a unique name so she combined her name and my dad’s names. Growing up, I was often asked if I was named after a character from the show Family Ties, which starred Michael J. Fox in the late 80s. What is the craziest thing you’ve ever done and would you do it again? I went skydiving once, and I would absolutely do it again. I love heights!